If you keep conscious and up-to-date with the goings-on of the health industry, you know that the immunization of babies and young children through vaccination is not as simple as mainstream medicine makes it seem. It is indeed a controversial topic, especially among those that take their well-being into their own hands, and prefer natural, more holistic approaches. As with most any health issue, you have your extremists polarizing –not to mention monopolizing– the content of this subject. If you begin to do simple research online of the pros and cons of vaccination, you’ll quickly discover that there’s a lot in the way of intense debating. It has become quite a political issue. People with differing opinions can get emotionally charged and take things personally. I maintain a welcoming stance to respectful discussion and disagreement, as long as positive vibes are maintained and there is no judgement against a family who makes a decision to do what they feel is best for themselves. How, as a parent or soon-to-be, do you dig out the truth? And, how do you know you can trust it? How do you navigate immunizations for you during pregnancy, and your baby? You alone can choose what is best for yourself and your little one. We all know that modern medicine urges vaccines as per CDC guidelines; that is heavily promoted and is a legal requirement in many localities. But more and more scholars and physicians are questioning the standard protocols as they analyze the science and data. In this article, I dare attempt to provide some counter balance, and share the unspeakable, for a licensed health care provider. I specifically delve into talk around the flu vaccine as it’s recommended and administered routinely to pregnant women in the United States. The principles and issues of concern, however, remain the same as with all vaccines. Do your research and be mindful of the difference between fear-based news and actual facts. It is a huge topic - each vaccine and infection it is said to prevent could be a chapter in a book; but hopefully, this gives you an idea of how to go about your own immunization research, and a sense of where you are comfortable seeking your health care guidance. Should we vaccinate? If we do, how early do we start? Which vaccines do we consider? Should we not vaccinate? Can we trust these vaccinations not only to work but to, in turn, do no harm? In my own work, I’ve always guided mothers to educate themselves in order to make informed decisions, and have recently written specifically about another hot issue Group B Strep. As with GBS, I encourage educating yourself, weighing the risks and benefits of each option regarding testing, prevention and treatment, and deciding what is best for you and your baby. In the case where you’re dealing with an illness that’s potentially very serious, it may make sense to administer the associated vaccination whose known risks have so far appeared relatively innocuous. But often enough, it is not clear what is worse: the risk of infections, or the risk of the vaccines - some of which are far from harmless. What I’d like to do with this article is give you a broad idea of what’s being sold to us as consumers and what’s truly out there in terms of factual information and sound research. For example, in the US, all major health regulators including the CDC advise all pregnant women to get the flu vaccine to decrease risk of flu related complications. It is said to be safe in all trimesters, based on short term studies by various pharmaceutical companies. The complications in question, however, are rarely severe enough to cause preterm labor and even death. Furthermore, the studies did not take into account healthy lifestyle and holistic modalities to strengthen immunity against the flu virus, commonly seen and used in out of hospital midwifery practices. The flu vaccine has been administered to millions of pregnant women in recent years, exposing millions of unborn fetuses. Dr. Kelly Brogan MD in her thought provoking scholarly analysis of the flu vaccine in pregnancy, calls into question the validity and flaws of these studies, and discusses risks families are not told about. What is striking to me is that long term effects on the unborn babies have not been studied and are therefore unknown; fetal loss (miscarriage or stillbirth) have been excluded from the studies when a huge increase in fetal deaths after the flu vaccine have been reported; risks to the healthy mother have been downplayed; and the vaccine’s benefits have been falsely exaggerated. This hits home as I had two moms in my practice who had healthy pregnancies, miscarry in the second trimester the day after they were given the flu vaccine by their primary physician. As is commonly the case, the flu vaccine was not reported as the causative factor. After the second tragedy, I did some research. Not only did I hear similar incidences among my colleagues around the country, the VAERS (Vaccine Adverse Events Reporting System) found over a 4000-fold increase in fetal deaths after the flu vaccine in 2009 and 2010. In an eye-opening blog article on her website, Dr. Aviva Romm, physician, herbalist, and midwife, speaks to the way the medical industry portrays our health as a whole. Romm continues in this article, regarding the flu vaccine, to state that the very reasons why we are told to have the vaccine are actually not as severe as the media makes them out to be. In fact, a mother with a Ph.D. in immunology even wrote to legislators with hopes to debunk some of the consequences the media forcefully and fearfully propagates. It is important to note here that she does not write to them in order to push her own right not to vaccinate her children but simply because she feared the discrimination against non-vaccinated children in school. If you can take the time to read her letter, please do so. In it, she shows that the school environment is not affected any more or less by either a child who is vaccinated or not. While an illness can lead to certain potentially serious complications in a pregnant mama and/or her baby, those complications are actually more exceptional and more uncommon than the pharmaceutical industry and modern medical authorities make them out to be. Although medical doctors take the Hippocratic Oath upon graduation from training, with the essential component included "First, Do No Harm," I am concerned the risks of each injection into a healthy baby are downplayed and may be doing more harm than realized. Dr. Brogan does not mince words in her brave research based statements not only about "a known 4250% increase in fetal demise during the 2009/10 flu season, but also about evidence-based inefficacy and risks of the pertussis vaccine pushed on pregnant women, about Gardasil killing healthy girls across the globe, fear mongering about SIDS that is actually caused by a visit to the pediatrician, corruption of an infant’s birthday by the Hepatitis B vaccine"...and, "as parents around the world have known for 7 decades, and basic science has supported, vaccines do cause autism." How Effective are Immunizations for Your Baby? While the intentions and the aim of the pharmaceutical industry can be seemingly profit driven, and concerns of the various infectious illnesses seem valid, this does not address the facts about the vaccines themselves. Can vaccines truly help to prevent today’s diseases in our children? What are the facts about disease prevention and vaccines? Fortunately or unfortunately, there is no clear or direct answer. In tackling this issue of navigating immunizations for your baby, the only sure thing to do is to personally conduct your own research and to then come to your own conclusion. Each vaccine and the infectious illness it is directed against needs to be looked at individually. Interview several pediatricians who share your philosophies and choose one you trust. There are pediatricians who do not accept a baby into their practice if parents do not follow the standard vaccination schedule. Fortunately, there are more and more holistic or integrative family and pediatric physicians out there who can teach you about disease prevention as a whole, address each vaccine separately, as well as appropriately plan a wide variety of alternative healing modalities. A wonderful example is pediatrician Dr. Elisa Song of Whole Family Wellness in CA, who believes "that the decision to get the flu vaccine for your child, just like any other vaccine, is YOUR CHOICE as a parent, and it’s a very personal choice with many factors that have to be weighed. This decision must be made on an individual basis, taking into account the unique healthcare needs and concerns of your child....There is NO right or wrong decision. By informing yourself, you are doing the best thing for your child and for your whole family. Trust your mama or your papa “gut”, and you will always do what is best for your child. Whatever you decide, using your natural medicines toolkit will get your whole family through the winter cold and flu season healthier and stronger." She empowers the families in her practice to " Treat Your Child’s Flu – Naturally!" She, like other more progressive pediatricians, accommodates a variety of approaches - from administering all immunizations according to the CDC recommendations, to giving them one at a time over a period of time instead of giving several of them at once, to only giving those you decide upon, to not giving any at all; she integrates conventional and holistic pediatrics to help children thrive to their fullest potentials of wellness, prevention and healing from illness. For more information, check out her Thriving Child Summit free from 9/18 through 25/2017, where you will hear "a real-world conversation about vaccine safety with 2 board-certified pediatricians" as well as many other topics related to the foundations of a thriving healthy child. Dr. Sears, famed American and midwifery-friendly pediatrician, wrote a book to solely address this convoluted subject, The Vaccine Book. He created it in order to answer parents’ questions and address their deepest concerns about vaccinating a child. He tackles the pros and cons as well as information about the diseases themselves in an relatively unbiased fashion. He adamantly suggests that you take the time to learn how the vaccine you’re considering is made and what ingredients are contained within it. If you decide to vaccinate, this will help you to get clear on which particular quality brands to ask for, in what order the vaccine should be taken in succession with others, etc. Again, your own research and conscious-based decision are essential! The aim of Sears’ book is to give parents enough information and clarity so that they feel confident enough to make their own decision whether they decide to vaccinate their children or not. Despite his being pro-vaccine, he does not take a stance in this book and simply provides facts. Research is increasingly showing that there may not be as a big of a disease threat as we’ve been taught to believe. Vaccines do not always work or confer long lasting immunity, as would be the case after creating your own antibodies from the actual infection. For example, chicken pox (varicella) is usually a harmless infectious illness in children, but results in life long immunity; the vaccine for it is now given to babies, but does not often produce immunity lasting into adulthood, when the illness is potentially more serious. The recent resurgence of adult pertussis (whooping cough) is largely occurring in vaccinated individuals whose immunity after the childhood vaccine waned, risking non-immune newborns who can get dangerously ill if exposed. German measles (rubella) is given to babies, but their immunity commonly does not last into adult childbearing years - risking serious complications for fetuses of non-immune pregnant women. People still get the flu after the flu vaccine. In reference to the flu shot, Dr. Romm and Dr. Brogan share with us that in a Cochrane analysis of 50 studies, there was 2% incidence of presumed influenza in the unvaccinated population as opposed to a 1% incidence in the vaccinated" - a difference of 1%. So, vaccination has no true effect on protecting me or my child from disease? This is not entirely the case. What I’ve been discussing so far is that, simply put, the fear we’ve been taught to harbor isn’t actually necessary. There are risks to each vaccination injection given that need to be weighed against to risks of each infection. There is way more to the story than most parents are told, and it is not a topic to be taken lightly. While it is not in our human control who gets sick, we can do what we can to prevent exposure to someone with a known infection; we can maintain good hand washing and hygiene habits, avoid sharing personal items, observe safe eating and traveling practices, as well as ways prevent illness unique to each infection. Something as simple as a regular practice of yoga and meditation - prenatal yoga in pregnancy - can help boost your own immune system which can be passed on to your baby against many types of infections. Yoga and simple meditation reduces incidence and severity of many of the modern world’s most recent and common ailments: infection, cancer, various inflammatory and autoimmune diseases, and allergies. Eating healthfully has a huge impact on preventing illness as does reducing inner stress. Eating a wide variety of plant-based whole foods, and getting sufficient protein and healthy fat are major steps to sound health. You’d be surprised at how well your body can actually defend and heal itself against disease when given the proper nutrients and care. In terms of nutrients, Dr. Sears has a concise and simple article on how our body’s immune system works. If you understand how your body heals itself from within, you may be more clearly able to decide which vaccines are worth investing your time in. In this article, Sears addresses the army that is your immune system and how it works to defend your body from sickness. He also shares why some more serious diseases can attack your body. What he does point out at the top of the article is something foundational to our and our children’s health and well-being: “Because of poor diets, many school children and adults have immune systems that don’t operate at peak efficiency. They get sick more often.” Breastfeeding without question, results in healthy immunity, and breastfed babies have significantly reduced rates and severity of infection as compared with formula fed babies. Something as simple as including probiotics and whole food supplements into your diet can boost your immune system and improve your overall health and well-being, and treating common infections naturally can be very effective. And these are nutrients that pass into the breastmilk you give to your baby, boosting baby's health and immunity. 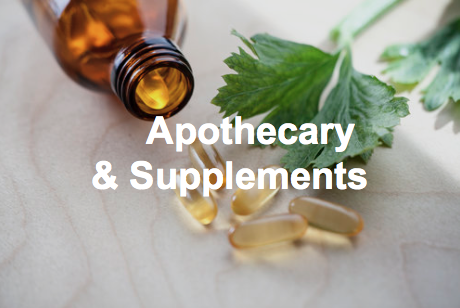 My online dispensary is a convenient way for you to purchase my hand-picked, professional-grade, whole food supplements and other natural health products. Ordering is simple, and the products will be shipped directly to your home or work within a few days. I have listed my recommended prenatal supplements in the PRENATAL SUPPLEMENTS section, and have a section for postpartum/breastfeeding supplements as well; but you can search their catalog for other supplements and natural remedies for common infections like cold and flu. Click here to directly enter my dispensary at Fullscript. I think what Drs. Brogan, Romm, Song and Sears have in common is their mission to provide facts to their readership, in order to IMPROVE health and well-being. They want to help them in making better decisions that empower and help them to grow healthfully and live to the fullest potential. As I’ve mentioned previously, Dr. Sears always refers back to how crucial it is that you learn about the product you’re using so that you can make a conscious decision. Was a proper placebo used? Were long term consequences properly researched, as well as the short term effects? What were the study's limitations and biases? Is there a meta-analysis of multiple large random, double blind, placebo control trials that provides compelling results or are there only a few small and limited studies on the subject? Even the doctors conducting the study might have to use “strategic tactics to paper over the truth” as Brogan puts it in an article she wrote addressing the overlooking of certain medical data pertaining to premature babies. This is the same organization that was spreading fear-ridden media about how catastrophic the H1N1 disease was going to be. And, Romm is directly quoting from the CDC’s website. Sometimes, inaccuracies are staring us right in the face. It’s worth taking the time to root them out. While there is an extensive amount of information online and in libraries about the pros and cons of vaccinations - from isolated tragic cases to conflicting opinions to reputable research - that can be real daunting, I hope that this article can provide you with the first building blocks to guide your personal journey to decide what is best for you and your young ones. To summarize the answer to the question, How do you navigate immunizations for you and your baby? : By taking the time to learn not only about immunization as they pertain to preventing infectious illnesses, but also to consider the short and long term risks of each vaccine, learn more about how the body can minimize common ailments, avoid sickness and even heal itself, and what you can do to aid the process. Do your research and be mindful of the difference between fear-based news and actual facts. Consider all of the evidence and sound investigation, as well as your options and your own principals. Seek professional guidance from those you trust; but then trust your intuitive wisdom to make the decision that is right for you and your family. Ultimately, the choice is yours. No matter what you decide, your choices need to be honored and respected. Whether you choose to vaccinate or not, once you act on your decision, know you made the best decision you and your family. Blessings to you on your journey! Want to connect with like-minded women supporting each other through their natural birthing journey? Join our Facebook community which is open to all active and previous clients, those who have had general or pregnancy consultations, and who have taken my online course or other classes.